Cook all your favorite foods with just one appliance. 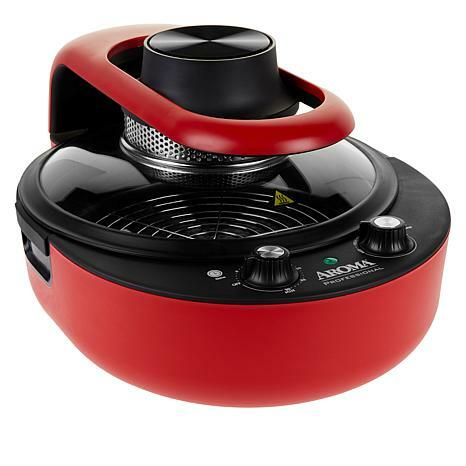 Aroma's multicooker is the master of multitasking. Designed to air fry your food without oil, this machine is also great for grilling, roasting and baking. Its 30-minute timer lets you set a precise cook time, and the generous capacity and various functions accommodate everything from steamed veggies to a baked cake. It's multitasking, mastered. 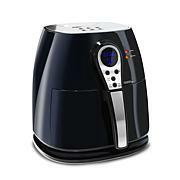 Air Fryer does not work like a traditional deep fryer. Best appliance purchase ever. Encourages me to cook without oil, make healthier choices. Its so easy to make dinner now without a big mess. Clean up is a breeze. Havent used the oven or fried anything since I got the Air fryer last week. I love making air fried chicken using the Aroma. The chicken is moist and flavorful. I received this yesterday and followed the directions to clean the pan and run it for five minutes. I then made chicken tenders and fried (of course) and they turned out wonderful. I like to watch it cook, which with the Phillips air fryer I could not and it is really quiet. Made room on my countertop for it. 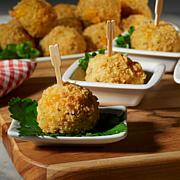 Will try to toast bread today and will be making meatballs and see how they turn out. 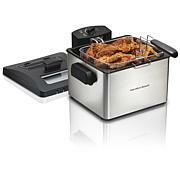 I like it so much better than my air fryer because its much easier to clean and not as bulky. 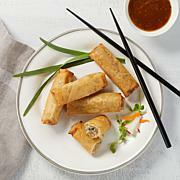 Super easy to use, the food comes out really good!! I have used it every day and very easy to clean. I bought this item to use indoors during inclement weather conditions & are unable to use the outdoor grill. Well, I used it a day after it arrived to grill onion burgers. Honestly, they turned out great! Burgers were juicy, browned nicely on both sides after flipping over & more importantly, tasted so good. Not exactly as outdoor grilling but very close. Follow the cooking time recommendations & you can't go wrong. Easy clean up, too. I recommend it.